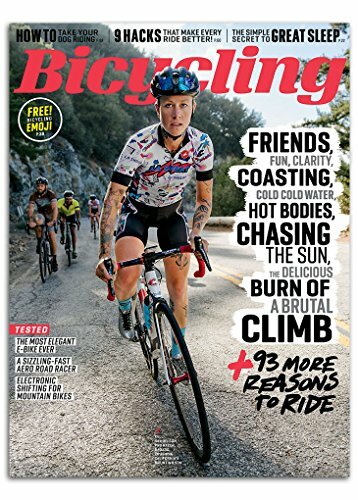 Bicycling, the world’s largest cycling magazine, will help you get the most fun and excitement out of every ride. Whether riding country roads, cruising urban streets, or exploring backcountry trails, Bicycling will fuel your passion. In each issue, we bring you product and gear reviews to help you make the best buying decisions, fitness and training tips so that you can ride further and faster, nutrition advice to help you feel your best and recover quicker, and travel ideas that will lure you to places you wouldn’t otherwise visit. Our award-winning features celebrate cycling’s most interesting characters, new-found heroes, and inspiring personalities. Join the ride today!